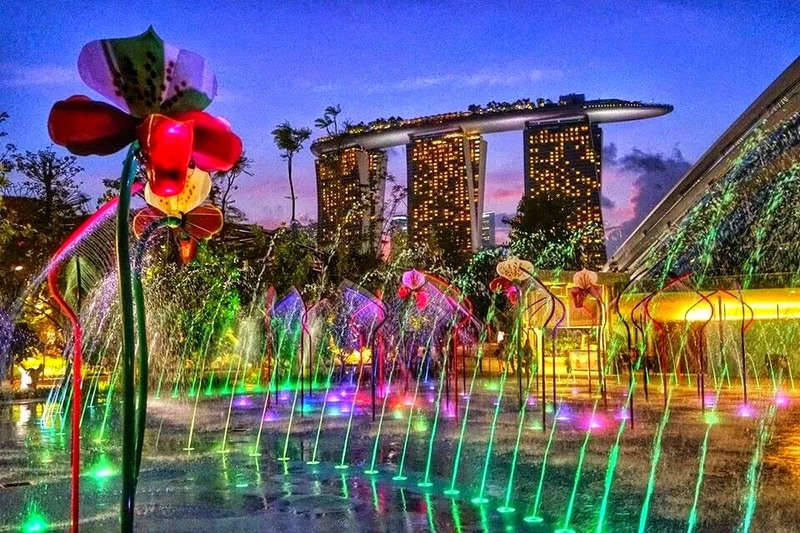 If you are visiting Singapore, you cannot miss the Gardens by the Bay. 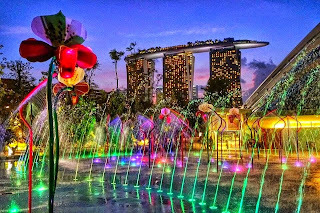 It is Singapore's latest multicultural wonder that began as an international design competition in 2006 and opened its doors in 2012. It features spectacular supertrees, cool conservatories (plants and waterfall), children's water play area and playground, and the heritage gardens that showcases plants that occupy a special place in the history and culture of Singapore's main ethnics. The Indian gardens features banyan trees, which symbolizes eternal life for the Indians. The Chinese garden has a circular opening in the wall that welcomes people into the Chinese garden, a feature found in a traditional Chinese garden, called a moon gate, which represents a full moon. The Malay garden showcases traditional village residents known as kampong house and some food plants used by the Malays such as lemongrass. The colonial garden is decorated with white flowers that were chosen to match the black and white houses of the early British times. The cloud forest conservatory features plants from mountainous areas of the world. Some of the trees in this garden have remarkably survived the long passage of time such as the Mediterranean olive trees that are estimated to be about one thousand years old. 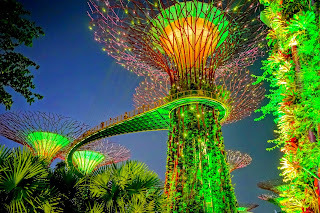 At night, the mighty supertrees groves, about 20-50 meter high (as high as 16 storey buildings) are beautifully lighted. The trees absorb heat and solar panels atop their canopies harness solar energy. This energy is sufficient to light up the trees at night, collect and store rainwater to irrigate the plants that flow on their trunks. Rainwater is collected within the gardens and passes through filter base of semi aquatic plants which cleans the water before it enters the lake. The water in the lakes that surround bay south is used for irrigating the plants and then returned to the marina reservoir when the water level rises. Their outdoor playground and water play area is fun for children of all ages. It's clean and spacious. And best of all, it's free! And while there, try the unique floral ice cream made by Udders specially for the Gardens by the Bay. You can get them in their gift shop.